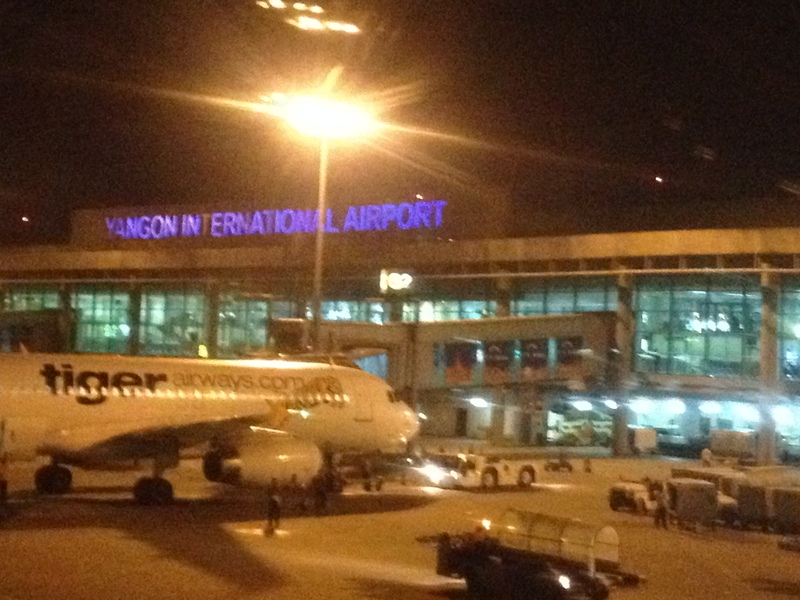 I just arrived to Yangon. What a different world! 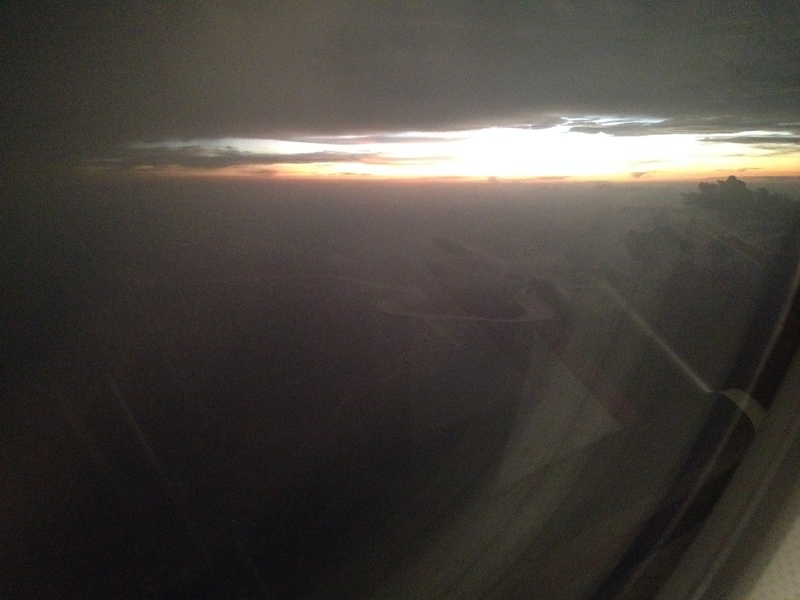 My first reaction from the plane was how few lights I saw. The landscape was gorgeous, with the evening sun shining through thickets of rain clouds. After landing, when I got off the plane and was about halfway down the main escalator of the airport (packed with people) the whole thing screeched to a halt for no apparent reason. Everyone lurched forward before looking around awkwardly, chuckling a bit, and then walking down. After picking up my bags, I went to exchange some money. There were about five different exchange locations right next to each other. I didn’t recognize any of the names. 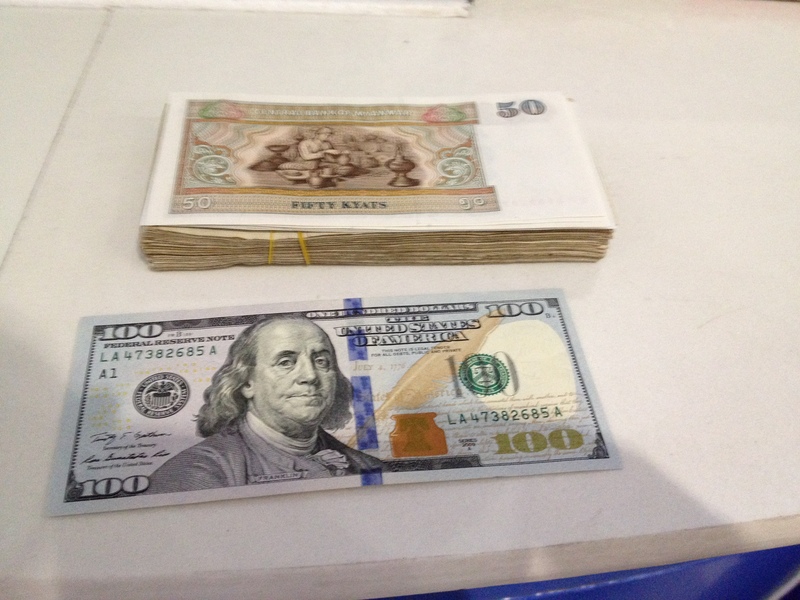 I was going to exchange $200 to get started, but jumped when I saw how large the stack of bills was (apparently the largest bill in circulation is 5,000 kyat, which is approximately $5). I pared back the exchange to $100 and received the same size stack (I think I got the equivalent of $1 bills instead of $5 bills). I just went with the flow, took the stack, and left. A friend of a friend and employee at Proximity Designs was kind enough to pick me up from the airport. Stepping out of the airport, my immediate reactions were a) I have never seen such a pandemonium of people, cars, hawkers, and yelling, and b) Wow, it’s hot. It almost felt like a mix between India (from what I’ve heard) and Bangkok. 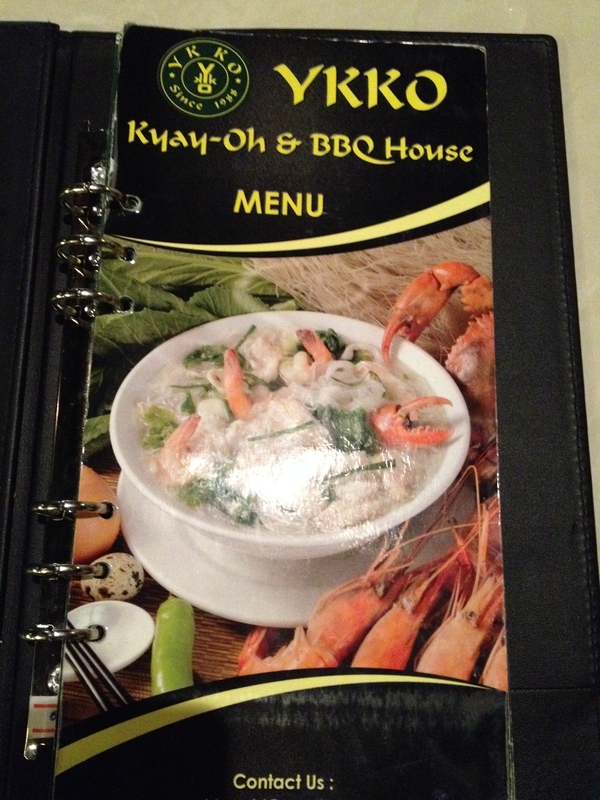 From the airport, we went to YKKO for noodle soup before I got settled into where I am staying. Tomorrow I will get to see the city in daylight, and will hopefully get a bit more oriented. Glad you made it safe Steve!! !